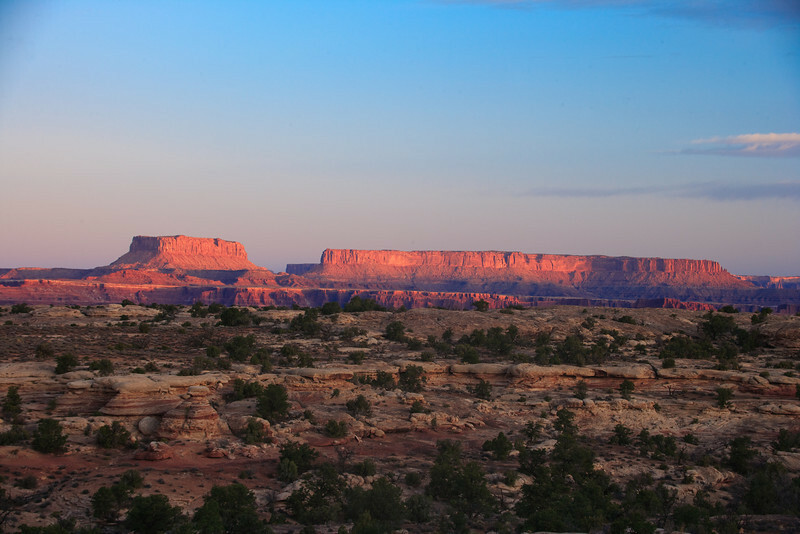 Canyonlands National Park is one of the most rugged and remote areas in the United States. The Needles District of the park contains colorful, needle like sandstone spires that gives the area an other-worldly appearance. In addition to the stone and mud dwellings and granaries, pictographs etched and petroglyphs painted by Ancestral Puebloan Indians and Archaic hunters may be found in nearly every canyon of the park.